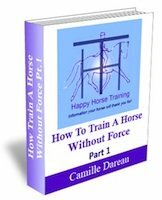 Holistic Horse Basics is the section of Happy Horse Training for anyone searching for simple, straightforward information on holistic horse care and training. It is not just about concepts and philosophy, but is the result of years of genuine experience. 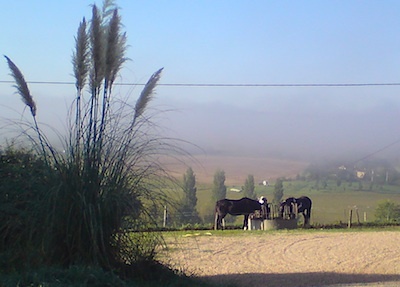 More people than ever before are discovering the magical experience of owning their own horse. While it is undeniably more rewarding than visiting a riding school for an hour a week, and allows a far more profound relationship, owning a horse requires a considerable level of knowledge and experience. Not only are there now more horse owners with a limited understanding of traditional horsemanship, but these traditions themselves are now coming into question. This can leave beginner owners not knowing where to turn. 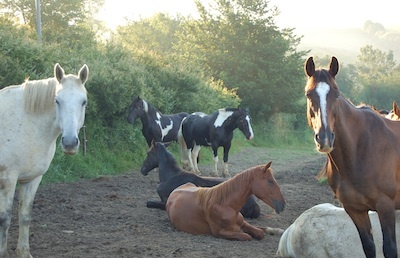 Our Holistic Horse Basics section is a free information resource, aimed at helping people who simply haven't had the opportunity to fill in all the gaps in their progressive horsey knowledge. There is plenty of conventional information on horse care available for owners, but it is more difficult to find a holistic approach to management and training which is understandable to beginners. Most progressive horse owners got there the hard way - through years of experiencing what doesn't work. We want to provide a short-cut for this this learn-from-your-mistakes route, because too many horses suffer as a result of it. We have divided Horse Basics into four main categories: Handling, Management, Tack & Equipment, and Riding & Training. Each one is made up of different articles on the most important aspects. 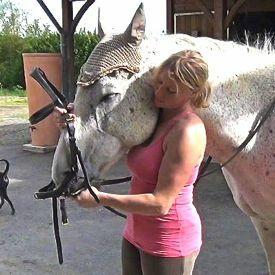 All the advice you need to catch your horse in a way which will build the trust between you stronger every time. Information you need to know about horses and how they react to human beings coming into their personal space. Leading a horse is an art in itself, and is the basis of all training. 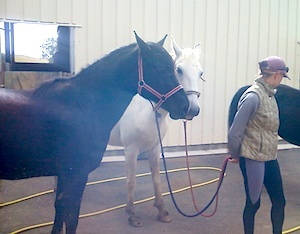 Grooming a horse is not just about getting the horse clean - it can be a therapy session for both of you. 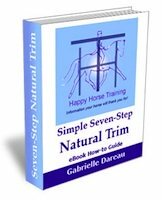 Step by step instructions which make bridling a good experience for your horse, and therefore for you! 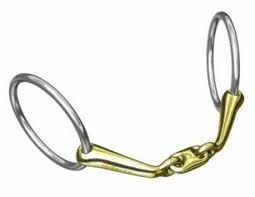 Often a challenge for horse owners, this page gives you the tools to make your loading experiences a pleasure and an opportunity to connect better with each other. Getting horse management right is particularly important, because horses are very different from us in what they need to keep them healthy. 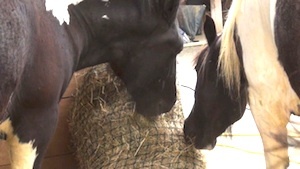 Clear ideas and information to help you feed your horse in a way which supports the holistic, barefoot lifestyle. Understanding how a healthy horse looks and behaves is a vital part of horse ownership, as well as knowing the basics of keeping them like that! Although we rarely keep our horses inside, if you are restricted to using stabling then giving your horse rubber mats have many advantages over other bedding alternatives, for both you and your horse. 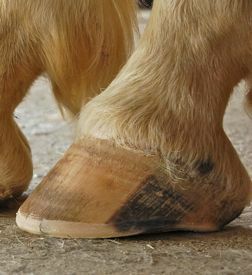 Keeping horses hooves in their natural healthy state is an essential part of holistic care, as it has many knock-on effects on health and performance. It's not just about taking the shoes off though - this is a summary of the things you need to get right to go barefoot with success. Putting a bridle together is simple when you know a few tips. 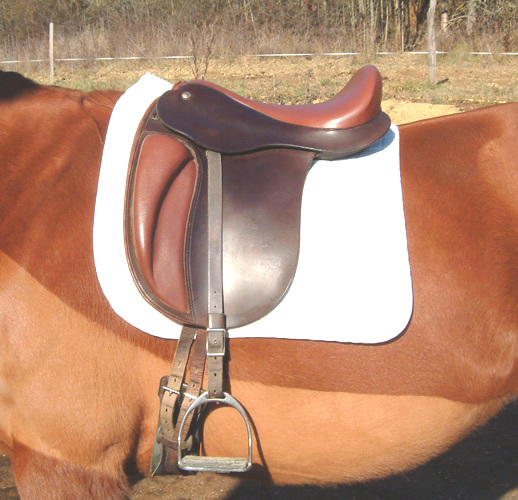 Fitting a saddle is one of the rider's most basic concerns, and there are several important criteria to meet regarding the horse's comfort, the rider's position, and the optimal transmission of aiding between the rider and the horse. How to recognize and respond when your horse has a problem with the bridle, and to know how to avoid creating such issues in a horse. Forget Bitless, What About Saddle-less? Advocates of bitless riding wonder why we use bits when we prioritise the horse's comfort, but if you are going to argue for bit-less then you have to argue for saddle-less too. The argument being that if any equipment we use can cause harm to the horse then it must be rejected. The truth is that neither bits nor saddles have to cause discomfort if they are properly designed, fitted and used. The bit has a significance which is rarely understood within the horse world. This article looks at the bit from different angles, and covers the essentials of fitting a bit. 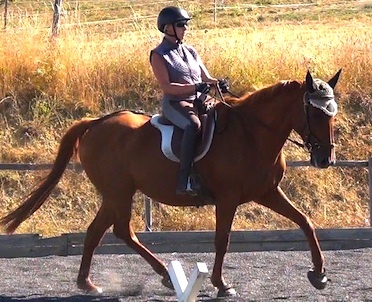 Although it takes a long time to develop a balanced seat on a horse, and the only way to do that is get out there are ride, there are plenty of helpful pointers, without which you can waste years making the same mistakes. 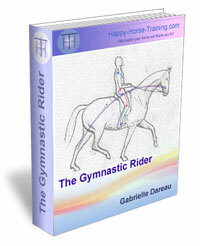 Mounting is another one of the horse basics which is well worth taking seriously. Good habits when getting on can make a big difference to your partnership with your horse, and the success of your ride each day. Horse riding is an art and must be taken seriously for the horse's sake. We can't expect a horse to perform for us without working to make our own performance as gymnastically correct and sympathetic as possible. This page explains what you need to know to get you started off on the right foot. Knowing how to lunge a horse correctly is an invaluable skill. It allows you to progress your horse's development from the ground if you can't ride that day, as well as letting you see how your horse is moving. 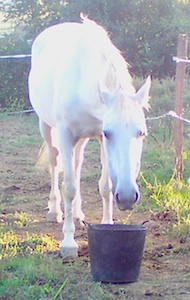 It is also vital for preparing young horses to be ridden. When you are ready to know and understand more about dressage, this page gives you the bigger picture of what it should be all about.